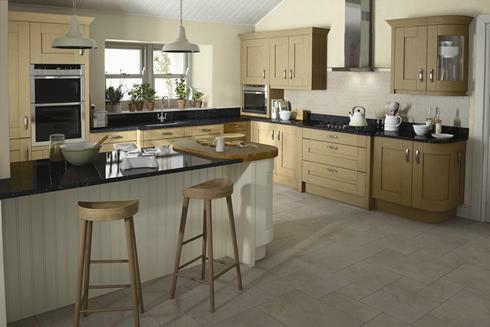 Arundel is a classic Shaker door with a chunky frame and a slightly textured finish. This kitchen incorporates an island and breakfast bar enhanced with black granite and extra thick oak worktop. Clear glazed feature doors are perfect for displaying your favourite pieces with a solid oak plate rack and a pantry offering further practical storage.